That meeting that was canceled? Yeah...it is still canceled. There are times a reminder that something has been canceled might be useful. 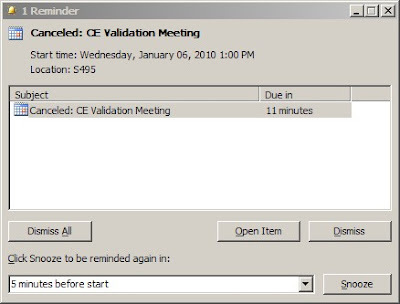 Sometimes I might even click the snooze button every 5 minutes to repeatedly remind me again to not go to a canceled meeting.